The Government of Kenya teamed up with Evidence Action to design an evidence-based, volunteer-led TaRL programme, G-United. Over the last few decades, access to basic education has improved dramatically across Kenya. Although learning outcomes are making steady gains, children need more targeted support in order to excel. Between 1999 and 2015, primary school enrolment in Kenya increased by nearly 70%, yet learning gains have not kept pace: by 2016, only 3 out of 10 children in grade 3 were able to do grade 2 work.1 Gaps in student learning have been tied to a number of factors, including high student-teacher ratios and insufficient resources. However, several studies suggest that simply increasing educational inputs – such as books and other learning materials – is not enough to improve learning outcomes. By getting around the traditional “age-grade” class structure (in which children are grouped and taught according to age, instead of demonstrated competency), TaRL offers a rigorously demonstrated, simple, cost-effective pedagogical intervention to offer specialised attention to struggling students across early primary. TaRL meets students where they are to help get them where they need to be. 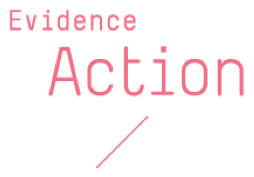 In 2014, the Government of Kenya partnered with Evidence Action (an international organisation dedicated to scaling cost-effective, evidence-based programmes to reduce the burden of poverty), to launch the G-United programme – part of Evidence Action’s Winning Start initiative – which aims to improve literacy and numeracy skills among primary school students. G-United is a government-owned programme, as reflected in the continued investment from the Government of Kenya in a high-level steering committee (including representation from the Office of the Deputy President, Ministry of Education, Commission for University Education, Kenya Institute of Curriculum Development, Teachers Service Commission, and Kenya National Union of Teachers, as well as Evidence Action). The programme has a dedicated Secretariat that reports to the Principal Secretary. At the county level, G-United is supported by the County Directorate of Education through Program County Coordinators. 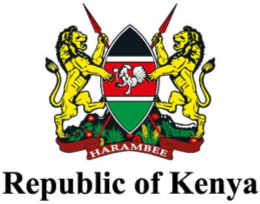 The Government of Kenya affords all core programme costs, including volunteer and homestay stipends, transport reimbursements, and training costs; Evidence Action supports the Government in volunteer recruitment and motivation, as well as ensuring alignment of the model with TaRL best practices. The G-United model is designed around TaRL evidence showing that volunteer-led models have led to significantly improved learning outcomes. Under this model, G-United recruits young university graduates to join as Volunteer Graduate Assistants, to be deployed to selected primary schools. Before and after school, these youth volunteers work with students in grades 2 and 3 to gauge individual learning levels, cluster learners into level-based learning groups and deliver regular, interactive, level-appropriate remedial sessions to struggling children through 15-day ‘learning camps’ throughout the academic year. Since 2014, G-United has deployed four cohorts of volunteers. In early 2018, 1,166 volunteers were deployed to 656 schools, where they reached an estimated 29,150 struggling learners by year’s end. In early 2019, the programme plans to deploy 1,600 volunteers across 22 counties in Kenya, where they’ll provide targeted support to approximately 40,000 learners. G-United aims to grow to reach 10,000 youth and 200,000 students annually.